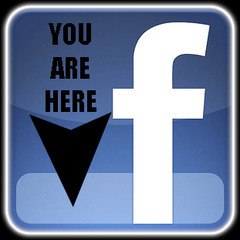 Facebook will launch a location-based product – from as soon as late May – according to a report by Techcrunch. It seems that Facebook’s new location product will let users update their status with their location as well as text and pictures. In a FourSquare-like feature, places that you visit or ‘check-in’ at (to use the Foursquare terminology) will be built into user profiles on a new Places tab. The service could either be run in conjuction with current location based services like Foursquare or Gowalla or else could be run separately. Apparently Mark Zuckerberg has met up with FourSquare head head honchos in New York though so some kind of deal looks possible..
Once Facebook gets this geotagging app, expect it to be like Foursquare on crack…I’m not going to use it unless it offers promo activity. http://generationnerd.weltbranding.com/ has a good description of what we can expect.